Charles was the eldest son of Charles and Charlotte, baptised on 29th October 1833 at Great Stanmore, Middlesex. The will of his father, Charles Thomas, in 1858 indicates that there was a problem between father and son. Hugh Selwyn Gaskell writes in his memoirs that Charles was sent off to Australia by his father for some minor prank he committed. On his father's death he was called back from Australia by his mother and lived firstly at 17 Oakfield Road, Clifton (address in his will of 1894) and later at 6 Mortimer Road, Clifton, Bristol, where he died. All family information is from Hugh Selwyn Gaskell’s memoirs. In 1881, the Census of that year records Charles' presence at his sister, Annie's home - 24 Upper Gloucester Place, Marylebone, with Annie, brother William and Aunt Elizabeth Ann Rouse. Later in 1881, Charles married Evelyn Frances Caroline Davies in Crickenhall. Breconshire, Wales. Evelyn, born in c.1856, was the daughter of George S Davies and Sarah A Davies, nee Corke of Crickenhall; George, in 1881, was Solicitor and Registrar to Breconshire County Council. Marion Evelyn Annie Gaskell born in Guestling, Sussex in mid 1886 and died in 1931. Eileen Blanche Gaskell born mid 1895 in Bristol.. She married a Mr Smith. 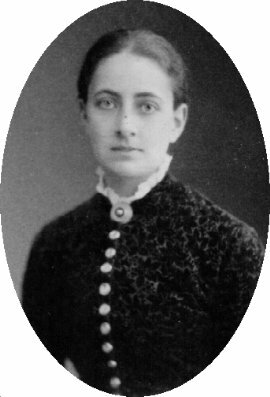 June Gaskell, who also married, issue unknown. According to the 1891 Census Charles was living at 2 Downfield Road, Clifton, Bristol. He was alone then with 2 servants and was living on his own means. Charles died in Bristol on 28th march 1899. William was the second son of Charles and Charlotte. He was baptised on 28th February 1835 at St Peter, Chalfont St Peter, Bucks and buried, aged 7 weeks, on 31st March 1835. The date of death appears on a Memorial in Chalfont St Peter Church. The address at burial is given as Gravel Hill, Chalfont St Peter, Bucks. William Plumer was the third son of Charles and Charlotte. The baptismal record of St Peters, Chalfont St Peter, Bucks records William's baptism on 13th March 1836. At the Society of Genealogists, the Army list of 1868 was viewed - List of Majors. William Plumer of 24th Foot. In the 1855 Herts Army list he was of the 94th Foot. In the 1879 list of Majors who have retired William Plumer is listed as retiring 3rd Feb 67, 10 days before he was made a Major. In the will of William's father, Charles Thomas, 24th July 1858, he is referred to as in the Army in India and, according to the will received almost all the family money. 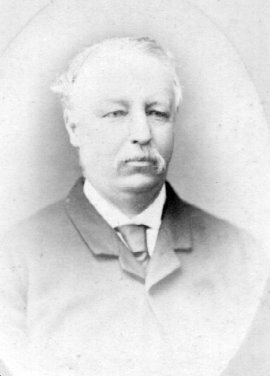 William Guy Gaskell (known as “Guy”). The baptismal records of St James' Fulmer record William's baptism on 1st May 1868. On a tombstone to the left of the north entrance to Fulmer Parish Church is written “Sacred to the memory of William Guy, son of William Plumer and Ellen Sophia Gaskell, who died February 1888”. Guy died unmarried in Germany of tuberculosis, according to Hugh Selwyn Gaskell. Charles Wilfred Gaskell (known as “Wilfred”) The baptismal records of St James' Fulmer record Wilfred's baptism 31st March 1872. Alumni Cantabrigiensis records that Wilfred was Admitted pensioner (age 22) at Jesus College October 1894. Patty Anne Gaskell who was born on 17th November 1902 in Iowa. William, their father, refers to them in his 1918 will in that certain items are to be delivered to them, duty free; he does not say where they were. In Hugh Selwyn Gaskell's memoirs he writes that while he was at Park House school 1890 - 93 "Wilfred" (Charles Wilfred) gave him a violin from Dresden which Wilfred bought for £25. Wilfred was a professional violinist in Dresden. Charles Wilfred is not mentioned in William’s will. At the Baptism of William Guy, 1st May 1868, William is described as a Major in the 24th Regiment. William records in his will of April 1918 that he retired in 1870. At the Baptism of Charles Wilfred on 31st March 1872 at Fulmer, William is described as a Gentleman. The death certificate of William Kynaston Gaskell on 12th July 1877 reveals that his nephew was then still living at Fulmer House, but as executor of William Kynaston’s will, proven on 28th July 1877, his address was given as Chalfont St Peter’s, Gerrards Cross. Possibly he moved in that month. In 1881, according to the Census of that year, William was at the home of his sister, Annie, at 24 Upper Gloucester Place, St Marylebone. As well as Annie, whose house it was, and William, brother Charles Bruce and Aunt Elizabeth Ann Rouse were also in residence, plus four servants. "During the winter of 1882, Major Gaskell visited Canada on behalf of the Irish Emigration Commissioners, in order to make an arrangement for the settlement for a certain number of Irish families from the congested districts in the south and west of Ireland, during the summer. Mr. Hogdkin, accompanied by Father Nugent, on behalf of of Mr. Tukes' Committee, also visited Canada with the same object in view. These two went to Manitoba, where they made arrangements with the Catholic authorities for the settlement of a certain number of families in that Province. All these gentlemen also visited Toronto, and reported that they had made arrangements with the Ontario Government, assisted by the Catholic authorities, for the distribution and settlement of a number of Irish families within the Province of Ontario. These gentlemen also visited other Provinces in the Dominion, having the same object in view, making arrangements for the settlement of an many Irish families as they learned, could, with prudence, be taken. On the visit of these gentlemen to the Department, I informed them that the most favourable facilities which were offered to other immigrants, would be extended to the Irish immigrants they proposed to send. Major Gaskell also desired that a special Irish Agent should be placed on the trains to receive and give advice to these families in passing through, such Agent to speak the Irish language. He further desired that the salary of such Agent should be paid by the Commissioners; the selection, however, to be made by the Minister of Agriculture. Further, he desired that there should also be a female Agent with the same qualifications, in order to see to the special needs of the women. In accordance with this request, and agreement to pay salaries, Mr. Hoolohan and Miss Phelan, were selected by me for that duty during the summer." In the book “The County Families of The United Kingdom” 1883, published by Chatto & Windus of London an entry appears as follows: “GASKELL, WILLIAM PLUMER, Esq. of Fulmer, Bucks. Eldest son of the late Charles Thomas Gaskell, Esq., by a daughter of Plumer Esq; b 18 - . Is a Magistrate for Bucks (Acres 148.264) - Fulmer House, Bucks” - William was not the eldest son but his mother could have been a Plumer before being adopted for the name is not otherwise a Gaskell name. On a plaque in St James Church, Fulmer there is reference to the increase in Bells from four to six as a result of the gift of a Tenor and a Third by Major William P Gaskell J.P., a former Churchwarden - dedicated on 20th September 1884. Hugh Selwyn Gaskell advised that William lived at Fulmer House until the inherited money ran out sometime in the late 1880’s, when the family sent him and his family off to Dresden in Germany where he lived until he died. He was treated well by the Germans during the First World War. However, he appears in England in 1899 as Grantee of probate for the will of Charles Bruce Gaskell, his oldest brother. William’s will records that Administration was granted to Hugh Selwyn Gaskell on 27th October 1923, the executor. Memorial in the churchyard of St James, Fulmer. Charlotte was the eldest daughter of Charles and Charlotte. She was baptised at St Peter, Chalfont St Peter on 9th July 1837. Her death in 1855 at the age of 18 is mentioned in Gentleman's Magazine pt 2 Pg 442. and she was buried in St James churchyard, Fulmer on 23rd August 1855. On the 24th July 1858 his father's will states that he was living abroad. However, according to the 1861 Census, he was aged 22, and a Lieutenant, stationed with a detachment of the 21st Fusiliers at Dover Castle, Kent. Robert’s Aunt, Mary Gaskell, refers in a codicil to her 1871 will in 1877 to the fact that Robert was in India and likely to remain there. According to the 1891 Census, Robert was living at 4 Durham Terrace, Paddington, aged 50, and living on his own means. His sister, Annie, aged 47, was also present and living on her own means plus two servants. According to the 1901 Census, Robert, aged 62, was living at 54 Mount Street, Ealing, with his sister, Annie, as a visitor, and two other visitors, Edith and Catherine Howorth. 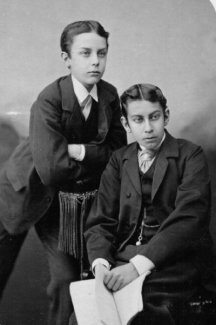 Hugh Selwyn Gaskell wrote that Robert was unmarried, invalided from the army in India and a keen photographer. Annie Gaskell’s will of 1902 records that in recognition of Robert’s many kindnesses, she would leave him her house for his life - 54 Mount Park Road, Ealing, London where he died. According to probate he was a Captain in his majesty’s army and his effects were valued at £15,687.17.10d. The Burial Register of St James, Fulmer, records her burial on 6th July 1847. On a Tombstone to the left of the north entrance to Fulmer Parish Church “Sacred to the memory of Emma, second daughter of Charles Thomas and Charlotte Gaskell who died June 30th 1847 aged 6 years”. There is an identical reference on a plaque inside the church above the north door. Annie was the third daughter of Charles and Charlotte. She was baptised at St James, Fulmer on 24th September 1843. Annie is listed in the 1851 Census as aged 7 and in the 1861 census as aged 17 and a scholar with a French Governess. According to Hugh Selwyn’s memoirs Annie lived with her mother, Charlotte until her death in 1880, and then moved to 24 Upper Gloucester Place, Marylebone, where she was in 1881, for the Census of that year records Annie at home with her brothers William and Charles plus Aunt Elizabeth Ann Rouse and four servants. In 1991 she was living with her brother Robert, at 54 Mount Park Road, Ealing. They were joined in Ealing by Thomas Kynaston and Horatia soon after 1900. Hugh Selwyn wrote “Annie was a kindly, humorous and generous spinster, whose jolly round face was forever dimpled in smiles”.